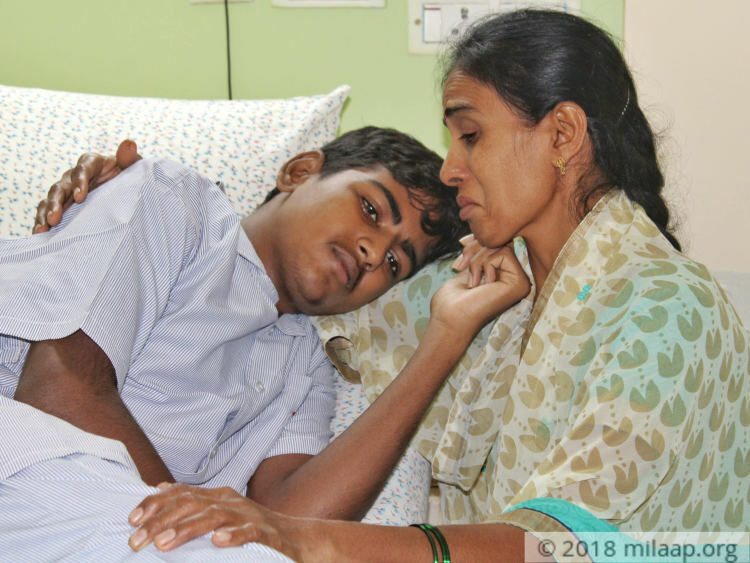 Nithin is fighting cancer for the third time now and his mother, a poor farmer, has no means to afford the treatment he needs. Together, we can help save Nithin. Nithin has spent his entire life shuffling between hospital and home, getting blood tests, and enduring chemotherapy. As he grew up, he started going to the hospital on his own to collect his test reports. Nithin had no choice but to grow up much ahead of his age because of the disease that has consumed his life – cancer. He has braved the worst of blood cancer. The extreme fatigue and weakness that had left him bedridden for over 6 months, the constant pain in his body, the vomiting and worst of all, the feeling of hopelessness. Nithin had overcome it all in 2016. Nithin loves playing cricket with his friends. The first thing he did after regaining his strength was go watch his friends play. He soon started playing sports, going to school and was even preparing for his class 10 board exams. 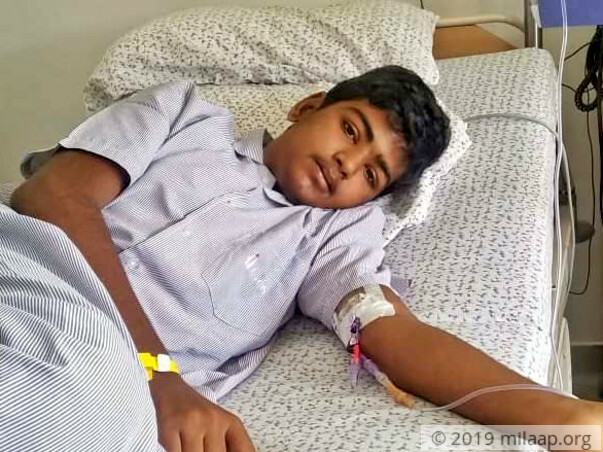 But just after 6 months after attending classes, Komala and Nagaraj found out that Nithin’s blood cancer had relapsed. They found out last month and were shattered beyond words. The burden that had once lifted from their shoulders had returned, heavier than ever. This was his last chance to fight cancer – but now he needs chemotherapy followed by a bone marrow transplant, the cost of which his farmer parents can’t afford by any means. Komala struggles to recall how much they’ve spent over the years for Nithin’s treatment. For 14 years now, her son has had to fight the disease at different intervals of life, and every time they thought it would be his last fight with the disease, it returned. And for 14 years, Nagaraj and she, both farmers in Kolar, Karnataka, with a small piece of land, have been doing everything they can to get him treated. 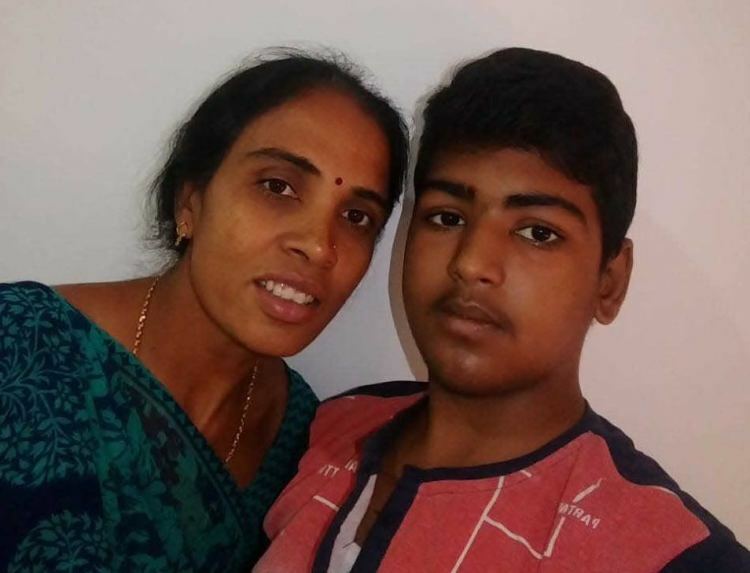 While Komala is with Nithin in Bangalore for his treatment, Nagaraj is back home in Kolar, working day and night to try and afford his treatment. After years of medical expenses, Komala and Nagaraj are buried in debt. They don’t have much to call their own. They have toiled day and night to save their son, Nithin, from cancer. But this time, they can’t do it alone. 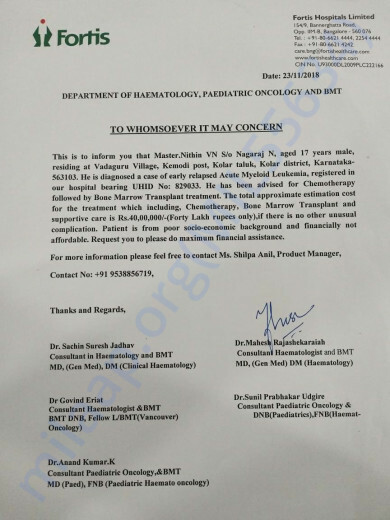 Nithin needs a bone marrow transplant at the earliest to survive. Your support can save this young boy and give him a new lease of life where he’s free of the pain of cancer. Your support will save Nithin’s life. 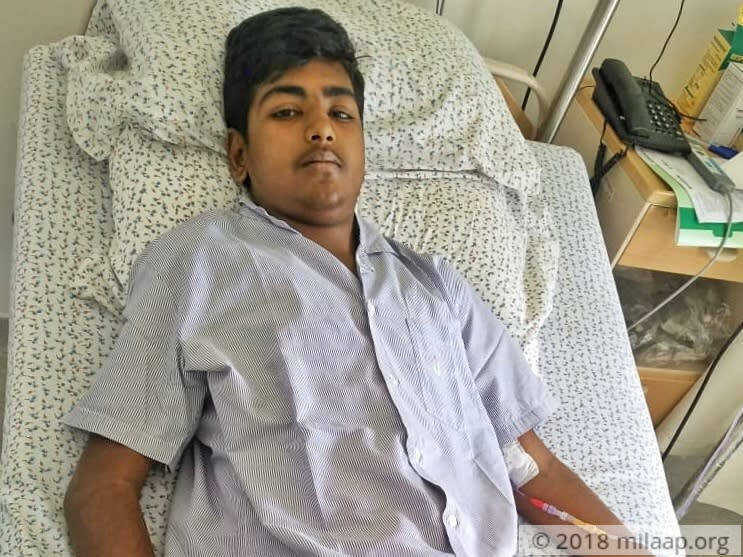 Nithin is doing well and is recovering. He is coming to the hospital for Chemotherapy sessions. He is stable and is responding well to the treatment. Nithin has undergone Chemotherapy Sessions and undergoing Bone Marrow Transplant work up. He is currently stable and is doing ok. He is responding good to his treatment.